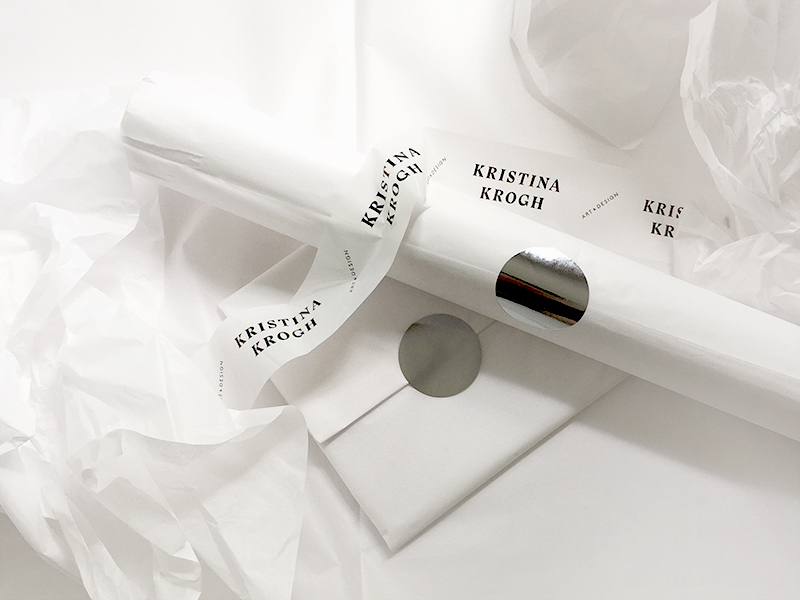 Delivery of goods from Kristina Krogh is considered complete when the customer has received the goods. All orders are delivered via GLS and PostNord as parcel post, which makes it possible to trace the parcel. WORLDWIDE SHIPPING – TO YOUR BUSINESS OR HOME ADDRESS? Please note: We can not take responsibility for any delays out of our control, like customs delays etc. *Business days include Monday to Friday and do not include Saturday & Sunday. Please note that local taxes or import duties may apply if shopping from a location outside of the EU. These extra charges vary widely from country to country and are not included in the product or shipping prices. The carrier will contact you in case of any extra charges or customs clearance. Kristina Krogh is not responsible for your local country taxes and duties and all additional taxes and fees are solely your responsibility and cannot be used as cause of return. We forward all goods as parcel post, which makes it possible to trace the parcel. If your parcel does not arrive or you get impatient, please contact us with your order number at: hello@kkrogh.dk. Please note: Orders with ONLY postcards and notebooks are shipped as regular letters without tracking. If you are not home upon delivery, your package will instead be delivered to a parcel shop or a post office near you, so that you can collect it at a later time. GLS or your local postal service will advice you about this. You will receive an e-mail or an note in your inbox/mailbox with information on where to pick up your package. Please note: All Danish orders will be delivered to the nearest GLS parcel shop. Please note! You have then a maximum of 7 working days to come and pick it up. If your package is not picked up within 7 working days it will be returned to Kristina Krogh. A second delivery attempt will be payed by the Buyer. If your order is returned to us through no fault of our own (incorrect delivery address or if you forget to pick up your package in time), you will be responsible for the return shipping and the extra delivery cost to cover a second delivery attempt, before we can send your order back to you.